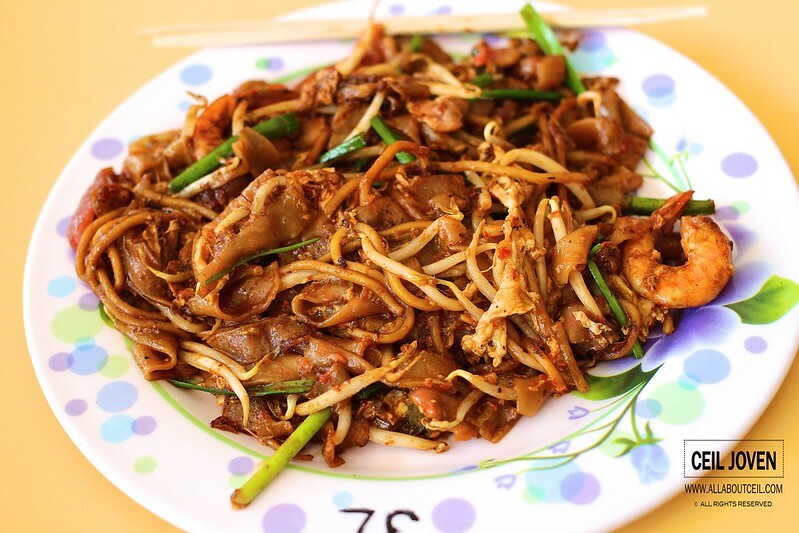 This is my preferred choice though many actually prefer the other supposedly more famous fried kway teow in Bedok South. 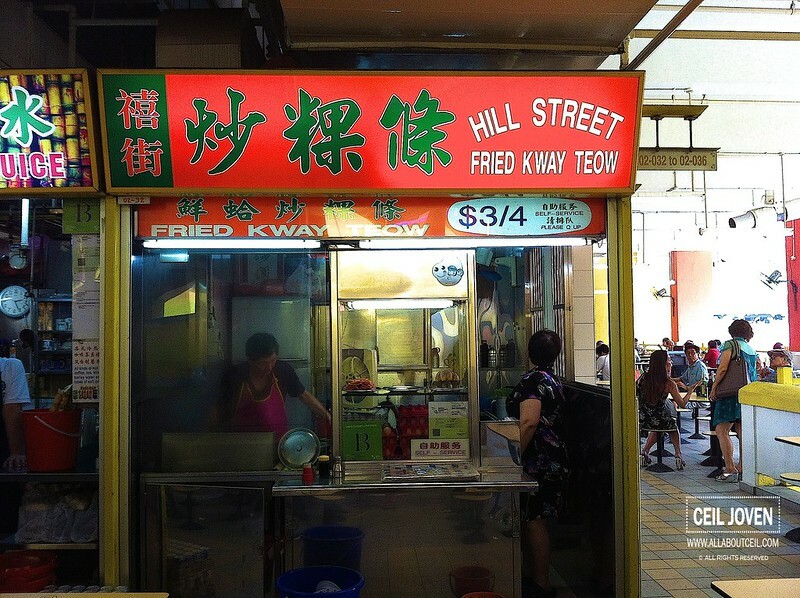 Both stalls are originated from the already demolished Hill Street Food Centre thus sharing the same stall name. I was there slightly after lunch. I decided to go with the $4 portion though the smaller portion is at $3. I took notice of the 'Self-service' signage displayed right in front of the stall so i waited there after placed my order. This stall is manned by an elderly couple. The Uncle is manning the wok and the Auntie is in charge of taking orders and collecting payment. Though she is rather slow in her movement but she still made an effort to deliver plates of fried kway teow to those customers seated near the stall. 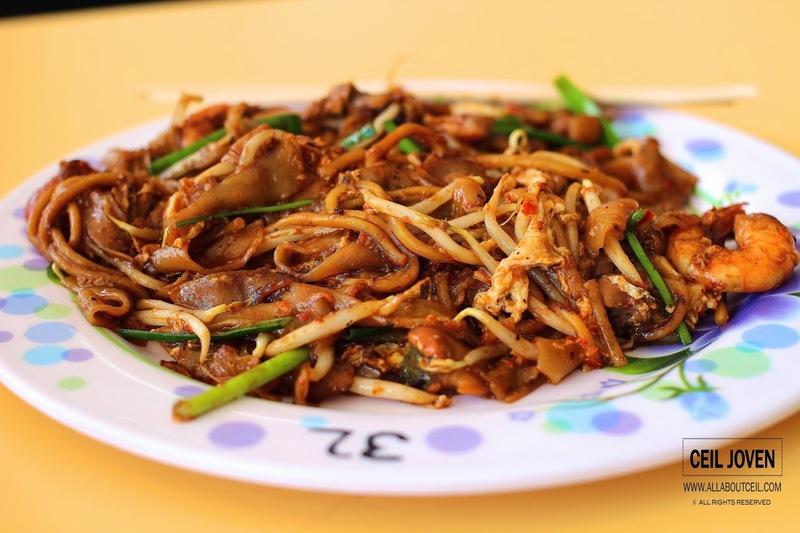 I waited for quite a bit for my plate of fried kway teow to be ready. Though it was still done by the same Uncle but somehow the standard had dropped for quite a fair bit. The wok taste did not seem to be too distinctive and with little fried pork lards added to enhance its flavor. The kway teow and yellow noodle were stir-fried simply with ingredients like cockles, prawns, beansprouts, spring onions and teeny tiny pieces of egg. It was done well to give it the desired chewiness without compromising its texture. Though i requested to have extra chilli but the level of spiciness was still pretty mild. I felt it has little impact in enhancing its overall taste. Somehow, this is still a better choice as compared to the other one if you dislike wasting time in queuing up. Plus, the standard of this particular stall is more consistent as compared to that one as the other has different person manning the wok at different time. The elderly Uncle has basically let his son taking over and sometimes, it is done by an elderly Auntie likely to be his wife. 335 Smith Street #02-032 Chinatown Complex Food Centre SINGAPORE 050335.